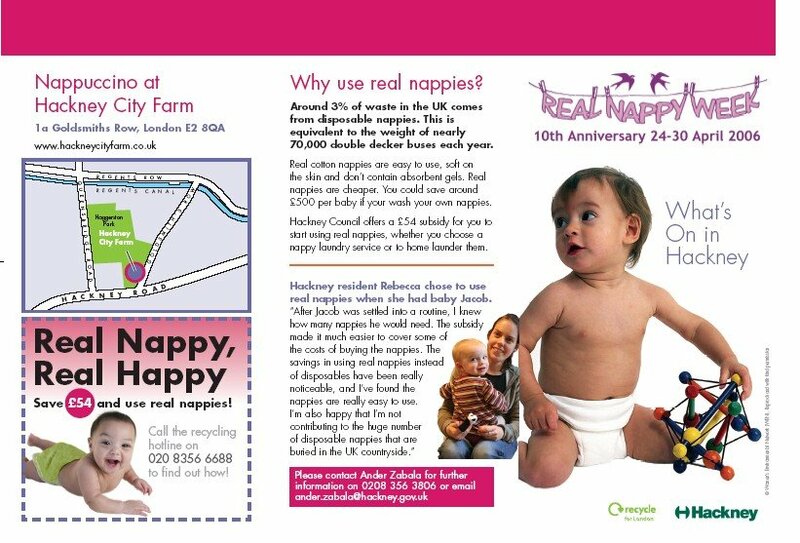 Around 3% of waste in the UK comes from disposable nappies. This is equivalent to the weight of nearly 70,000 double decker buses each year. 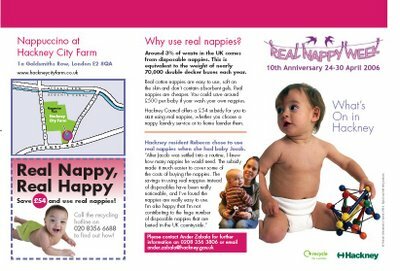 Real cotton nappies are easy to use, soft on the skin and don’t contain absorbent gels. Real nappies are cheaper. You could save around £500 per baby if your wash your own nappies. 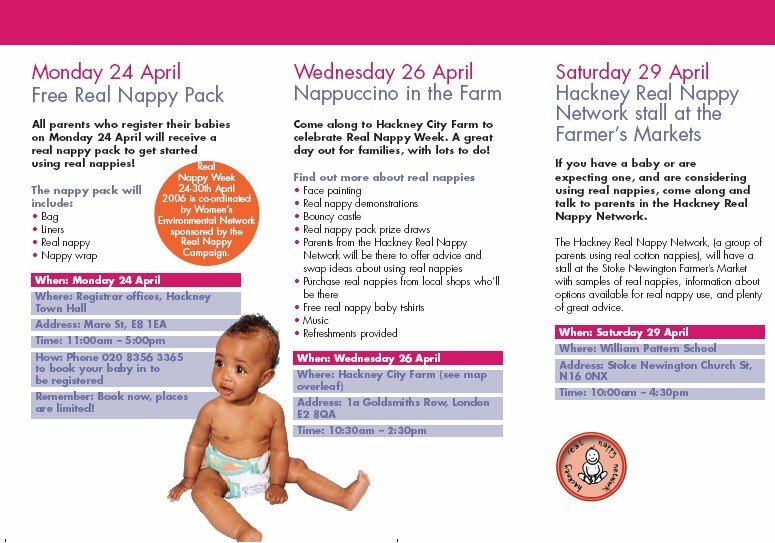 Hackney Council and its neighbouring boroughs (Camden, Islington, Enfield , Waltham Forest , Haringey & Barnet ) offers a £54 subsidy for you to start using real nappies, whether you choose a nappy laundry service or to home launder them. Fully funded by the North London Waste Authority. 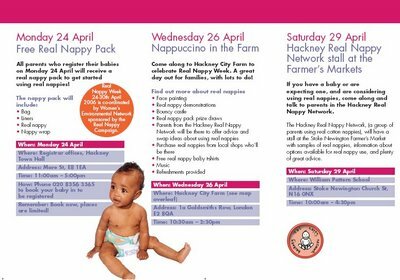 This is the leaflet our team produced for the events in Hackney Real Nappy Week, come along!